Hi Performance Hobbies in Hutchinson, Kansas held their 34th annual Fall Classic race last weekend with nearly 200 entries for the several electric off-road classes. 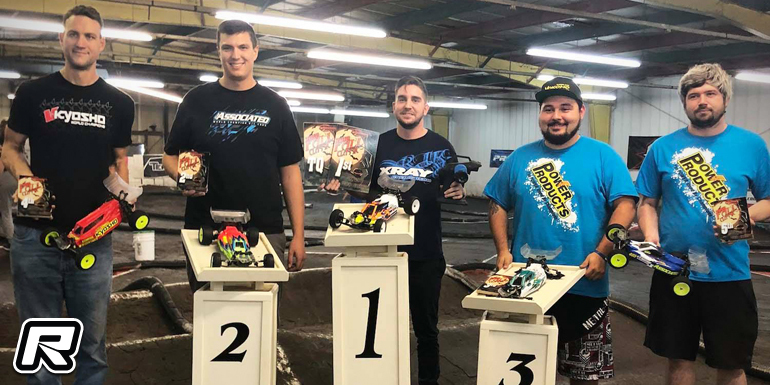 In 2WD Mod Buggy it was Zac Gastelum with the overall TQ, however he was tie on points with Trevor Nault but the faster tie-breaker handed Zac the overall TQ. 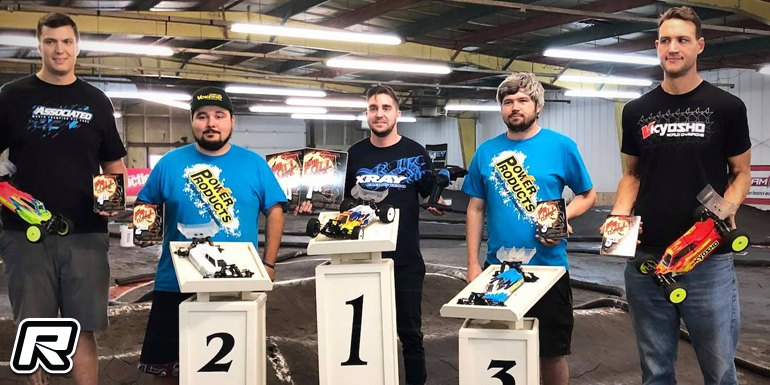 In 4WD Mod Buggy it was again the duo of Zac and Trevor that battled it out for the overall TQ, and again Zac would hold the upper hand in the tie-breaker for his second overall TQ that weekend. 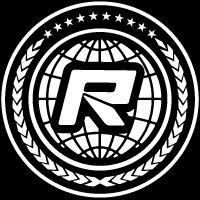 In the opening 2WD Mod Buggy A-main things seemed to turn for Zac who suffered a DNF but with a 2nd place finish in A2 and a win in A3 he would secure the overall win from A1 winner, Trevor Nault who in turn had his problems win A2 and A3. Alex wing with 6-1-4 finishes came in 3rd from David Alberico (3-6-2) in 4th and Charles Day (2-3-8) in 5th. 4WD Mod Buggy then was a more straight forward affair for the TQ holder as Zac took wins in A1 and A2 for an early overall title with Alex Gwin, who won the final A-main that was sat out by Zac, finished on the overall runner-up spot. Charles Day, tie on points with Alex, had to settle for 3rd as runner-up after the qualifiers, Trevor Nault only finished in 4th. David Alberico came in 5th.